How to find the week-end date or first-day date of a week using Current Date as input. 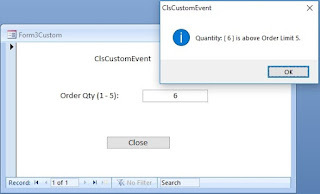 Or find first/last-day date of any week by giving a date value as input. These kind of calculations may become necessary to find week-end date and use it as criteria in queries, filter data for viewing or printing of Reports for sharing of information. If current date is 14th June, 2017 (or any date between 11 and 17 June 2017) then the value returned in variable LastDayOfWeek = 17th June, 2017. Assuming current date is 14th June, 2017 (or any date between 11 and 17 June 2017) the first-day date of the week returned in variable FirstDayofWeek = 11th June, 2017. 'To find the first-day date of the Week.